Let the hardworking staff at Orbitz craft amazing-value hotel and flight deals for you. 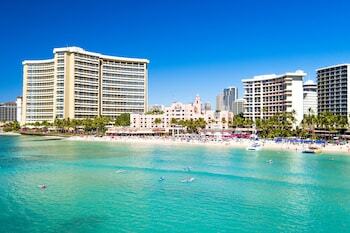 If you're eager to organize the ultimate Honolulu trip, it's just a few clicks away! Think about all you can do with a saving of as much as $857*. The only thing you need to do is select your desired airfares, hotels, experiences and rental cars to save cash! With 500 partner airlines and more than 500,000 hotels on our worldwide database, you have the freedom to pick where you want to stay and who you'll fly with! There truly is something for everyone. Orbitz' packages offer infinite options to customize your trip along with an experience you'll never forget. Do you want really fast rewards? Simply start booking with us and you'll get Orbucks! It's a straightforward system we've built to reward you, lightning fast! So, how do you redeem Orbucks? Piece of cake — you'll be able to use your Orbitz Rewards points on your very next booking. And, if you'd like special perks, like complimentary breakfast, at all Orbitz Rewards VIP Hotels, just become a gold or platinum member. How? 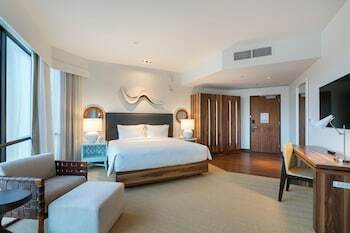 All you need to do is secure four nights for gold status and 12 nights for platinum. Few things put you in the mood for adventure more than researching your next dream destination. So, are you ready to learn a thing or two about Honolulu? 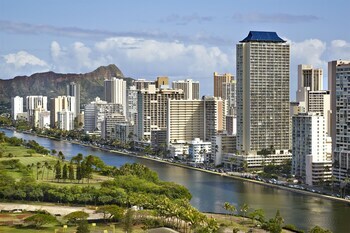 Honolulu is the state capital and is located 4,800 miles southwest of Washington, the country's capital. It's an area of Oahu that some 370,000 people reside in. 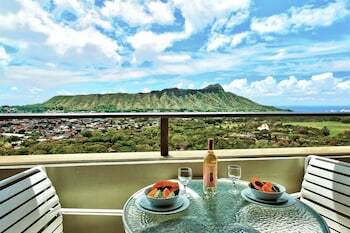 Aloha Tower and Diamond Head should be right at the top of your itinerary. You'd be nuts not to see such world-renowned attractions! You wouldn't want to visit Honolulu without dropping by favorite attractions like Ala Moana Center and the Honolulu Zoo. Prefer to go someplace else? Well rest easy — you'll have plenty of choice here. 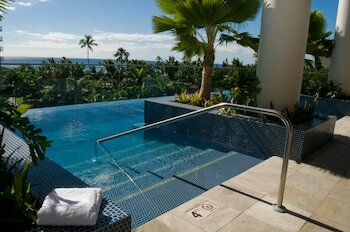 Other fine options are Waikiki Aquarium and Iolani Palace. Does it leave you with an impression? What was the creator trying to achieve? Ask yourself these questions as you wander the halls of Honolulu Museum of Art, a well-liked art institution. Like some more options? Hawaii Convention Center holds a diverse array of events. Look at a local calendar for the latest details. But wait, that's not all there is! Are you a fan of live theater? Then experience a show at Hawaii Theater. Push play on your favorite driving tunes and explore Honolulu from the freedom of your own set of wheels. You'll find some of the most affordable car rentals in Honolulu on Orbitz. Get out of Daniel K. Inouye International Airport minutes after landing by picking up a car from right near the terminal. A couple of the best offices include Budget and Avis. They're right near the terminal, so you'll find them easily. There aren't any rental outlets in the center of town. So if you're thinking of getting a car in Honolulu, you'll need to go to one of the surrounding neighborhoods. 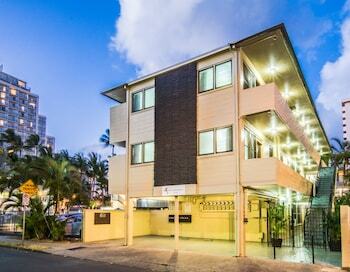 You'll find Economy Rent a car in Western Honolulu at 4299 Lawehana Street. 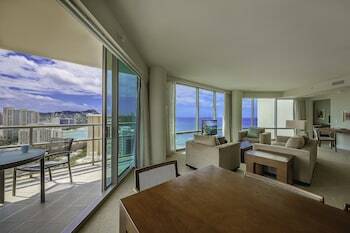 Orbitz can help you secure the most competitive accommodation deals in Hawaii's capital city. 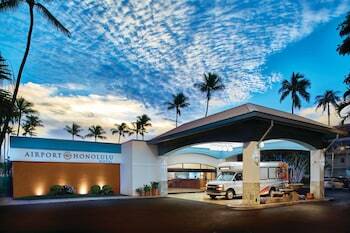 With some 108 hotels in Honolulu, you'll surely find the right place to rest your head. If you're searching for a luxury island vacation, have a look at our top upmarket accommodation options. 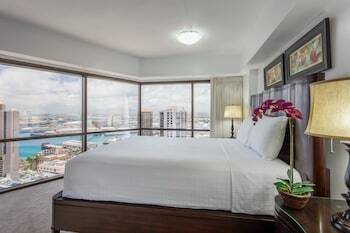 You'll find the Halekulani at 2199 Kalia Road and the Aston Waikiki Beach Tower at 2470 Kalakaua Ave. That said, the Aston Waikiki Beachside Hotel and the Marina Tower Waikiki are a couple of excellent budget options. 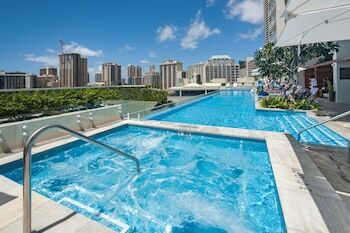 Save your cash for awesome Honolulu activities and experiences! Your adventure begins the moment you step off the plane at Daniel K. Inouye International Airport (HNL). Located 4 miles northwest of the downtown area, this is Honolulu's main terminal. About 17 miles from Honolulu, Kunia is much loved by travelers and locals alike. Head to this place to access the Dole Plantation and Waikele Premium Outlets, two fantastic attractions that are bound to impress. If you're able to, head only 25 miles to Kahuku. 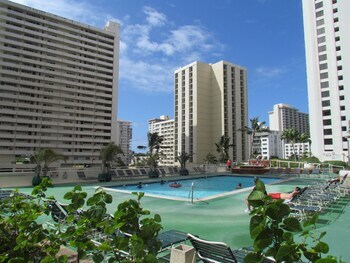 This is another area with close by popular attractions like the Polynesian Cultural Center and Banzai Pipeline. We get it — sometimes things need to change. So, if you have to cancel or change your booking we'll never charge you a fee.^ And if you move quickly, your airline or hotel may not charge you either.